1. During the working process of impact crusher, the inlet and outlet opening are the main sources of dust. We can seal the dust point with sealed cowling, and then sucking the dust with blower to reduce the dust as much as possible. 2. Some unreasonable production technology will cause serious dust pollution, so we should adopt advanced and environmental technology. The multi-decks screening equipment is used in the screening process to reduce the sieving of materials and reduce the generation of dust. 3. We should reduce the flow rate of materials under the premise of smooth movement of materials to control the dust dispersion. 4. At the same time, we can spray water around the production site to control the dust and improve the working condition, so as to ensure the physical and mental health of the operators. 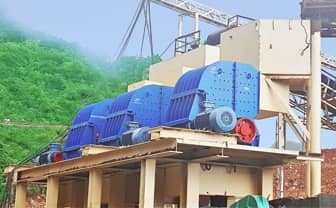 Previous Article：How to Take Overload Protection for Jaw Crusher?